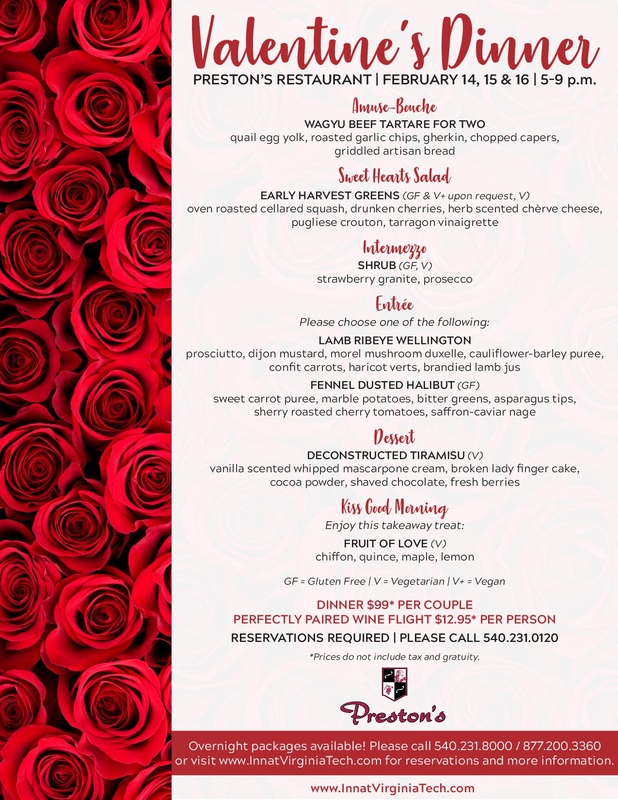 Treat your Valentine to a romantic dinner for two! Enjoy an intimate atmosphere along with live music from Hayden Carpenter. Add perfectly paired wines for the ultimate romantic dining experience featuring five courses.